Meet Ella Fitzgerald who was known by many as the ‘First Lady of Song’ and famously said "I sing like I feel” – one of the many reasons that people around the world were captivated by her and her voice. Her life was inspiring and she is undoubtedly one of the most loved American jazz and song vocalists who enjoyed a musical career that lasted 59 years. It featured 14 Grammy Awards and the sale of over 40 million albums! Travel with her through her early years which were difficult, as she struggled with family losses as she found her way and hear how she eventually found her own road to international stardom. Be inspired by this amazing story as it comes alive through BioViews®, a short biographical story, similar to an interview. 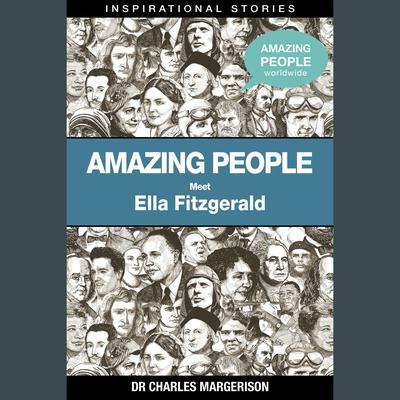 These inspirational audios from Amazing People Worldwide® provide a new way of learning about amazing people who made major contributions and changed our world.